Newer: » Costa Maya Festival® presents Miss Panama! In Belize we have many celebrations, and the last time I checked there were 13 public and bank holidays observed each year. That said I would like to suggest we add one more and declare opening day of lobster season the fourteenth holiday of the year! Editor Tamara Sniffin is a big fan of the one and only Lord Rhaburn! The way we carry on about our devotion to this denizen of the sea, from the financial rewards of fishing, to its cultural significance and the delectable meals we celebrate you would think the country would shut down for the day and party like a lobSTAR, gosh knows we are always looking for an excuse! Perhaps the alternative we have is better though, dragging out the crustacean celebration over several days and three different festivals countrywide. I have attended all of these lobster fests at one time or another, from San Pedro to Placencia and Caye Caulker, and each one has its own personality and flavor, no pun intended! Although they are all grand celebrations I have to admit my heart belongs to Caye Caulker when it comes to singing praises to the lobster. With the charm of a fishing village still prevalent, and the presence of locals genuinely indulging in lobster love, you quickly become one with Caye Caulker lobster land. Starting with the highly anticipated Miss Lobster Fest Pageant the first evening, the weekend- long event not only offered lobster served in dozens of ways, from grilled to kebabs to burritos to tamales, there are dance presentations and musical performances. 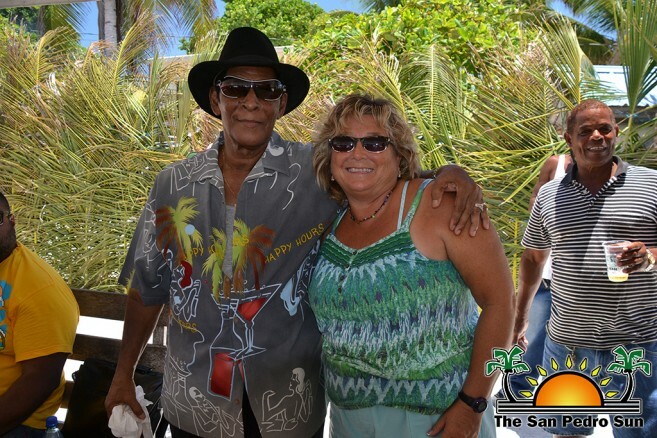 This year the Lobster Fest committee really outdid themselves, with dance presentations by the Belize Dance Company and concerts by Belize’s Calyspo King, Gerald “Lord” Rhaburn who delighted the crowd with calypso, soca, reggae and brukdown music. Now that I have once again been infected with lobster lust I can have my lobster and eat it too…well until February 15th that is! There’s nothing like kicking off the season in proper fashion and you can bet I will be ready to do my lobster dance next year in Caye Caulker, when the lobster traps are opened and the grills are hot!